BlackTree’s team of clinical leaders has the expertise and real-life experience to help prepare your agency for the industry’s ever-changing landscape. The home health and hospice industry will continue to face increased regulatory scrutiny and declining reimbursement for the foreseeable future. Whether you need assistance with OASIS/coding, VBP preparation, Episode Management, improving outcomes, ADR appeals, or any other clinical challenge that your organization faces, BlackTree’s team of clinical experts is here to support you. Managing increased regulatory and accrediting body demands while coping with day-to-day operations may be a challenging task for home health and hospice organizations. BlackTree clinical consultants can assist your agency in managing the survey process.  Whether proactively preparing for certification or accreditation through the use of mock surveys or developing plans of correction for previously identified deficiencies, BlackTree clinical consultants use their wide depth of regulatory knowledge and operational expertise to design and implement solutions that will withstand surveyor scrutiny and support quality patient care.